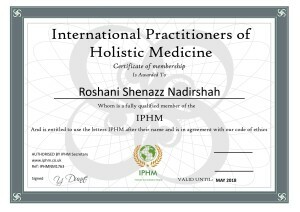 Roshani Shenazz – Wholeistic Living Empowerist is an “Approved Therapist” and “Training Provider” with the International Practitioners of Holistic Medicine (IPHM) UK. In the second innings of her inspirational life, bestselling Author and Wholeistic Living™ Empowerist, Roshani Shenazz conducts Spiritual Growth/Inner Potential Workshops, Seminars, Retreats, Meditations, and Sessions, through her successful Wholeistic Living & Holistic Healing Centre™. A dynamic 23 years in media and films, where she worked for some of the biggest names in TV and the Indian Film Industry was interrupted by an unfortunate prolonged illness compounded by sheer medical negligence during 2005-2006, which got her temporarily immobilized waist downwards. Financially broke and living with her then 85 years old Father, she later sold her home to repay debts. Many other closures of her life, followed thereafter. What stayed with her were implicit faith, fortitude, courage and determination to rise above it all. 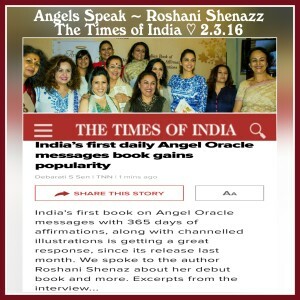 Interactions with two faith healers during her seeming illness and later an Angel book from a friend and the Charles Virtue Angel workshop in 2010, made Roshani more cognizant of the intervention of these powerful beings in human lives. Trusting her intuition despite financial obstacles, she quit her media dream job to embark on her spiritual journey to enthuse people unveil their own divine potential and recognize the same in others. 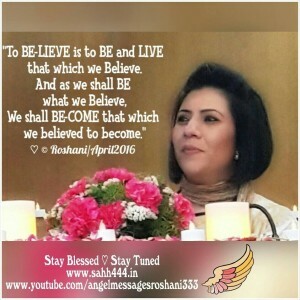 Transformation followed and still continues with Roshani inspiring many lives across the Globe. Roshani’s mission is to empower and inspire as many souls across the world to discover their true selves, their passions, their life purpose, their own divinity and that of others, and ultimately serve as a Universal Citizen by being the best version of who they can truly be, while igniting the inner Light of many along the way. Roshani Shenazz is also the Founder of Meher Roshani Foundation, an NGO in Mumbai, which goes beyond simple charity. She has served as a Sr. Faculty – Producing, and is affiliated with The Whistling Woods International, the premium world acclaimed Film School in Mumbai, India. She is also affiliated with Institutions like; The Thadomal Shahani Centre for Management, and the Institutions under the HSNC Board, The Rotary Club (City Chapters), The REX Global Fellowship and Karmaveer Chakra Institution and Speakers Bureau. She is the UN ICongo REX Global Fellow and Karmaveer Chakra Awardee; a Member at the – Unity in Diversity World Civil Society (UNAOC) – India Chapter and Global Dialogue Foundation and Mentee at – The Cherie Blaire Foundation. 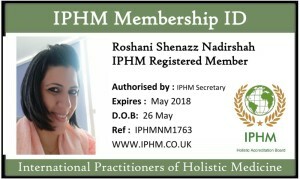 An Approved Therapist and Training Provider by the IPHM UK (International Practitioners of Holistic Medicine). Conducts special corporate and institutional programs, workshops, talks, seminars and retreats for all aspects of human potential building and unleashing the true power of each individual. Winner of the coveted UN ICongo REX Karmaveer Global Fellowship & Bronze Chakra Award -2014; Silver Chakra 2016 and Women Achievers Awards – 2015 by the Young Environmentalists Program Trust, Mumbai India, for spiritual upliftment & transformation in the Society through Spiritual Empowerment, Coaching, Guidance & Healing. Member on the Committee of UNAOC – Unity in Diversity, World Civil Society – India Chapter and Member of The Global Dialogue Foundation, Australia. 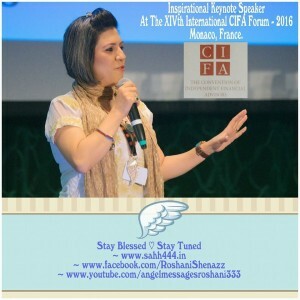 Has been invited as an Inspirational Keynote Speaker on Spiritual Development and Inspirational Social Entrepreneurship as a part of the ECOSOC Round Table, at the XIVth International CIFA Forum to be held in Monaco, in May 2016. Author of the latest best-seller and transformational healing Book, “Angels Speak ~ Your Daily Dose of Divine Love” which went into a 2nd reprint within two weeks of its launch in February 2016. Author of upcoming book; moJOsh Earth Angels – which she is co-authoring with Jeroninio Almeida, the renowned Founder of the REX Karmaveer platform, the best-selling Author of The Karma Kurry series and the new book “Mann Ki Baat” of Honorable Prime Minister Shri Narendra Modi. Contributing Writer for renowned Magazines: Life Positive Magazines – India and bodymindsoul – a South East Asian magazine from Malaysia and other empowerment and spiritual portals. Invited panelist at The World HRD Congress 2012, for infusing Spirituality into Daily life for Work, Life Balance, Stress/Anger Management & Abundance Creation. Coming up soon with her new Meditation CD and Application for Mobile and other platforms. Currently a few powerful meditations can be availed on her YouTube channel. Successful workshops done in Mumbai, Delhi, Hyderabad, Dubai, Kuwait, Malaysia, and others. Certified Angel Practitioner through Charles Virtue, son of Doreen Virtue, USA. A 23 years experienced Media, TV & Films Professional with expertise & equity.